The Galley Seafood Grill & Bar at Embarcadero is where it’s at for the seafood lover in you. The ironic thing is I found this restaurant simply by luck from picking the first restaurant listed on my GPS for seafood restaurants. Lucky choice I must say! The Galley serve a variety of fresh, hand picked, local farm raised seafood and fresh garden picked vegetable where taste and presentation both meet at a dégustation singularity. The Galley is also equipped with a full bar to satisfy all of your cocktail needs – always a plus in my book. 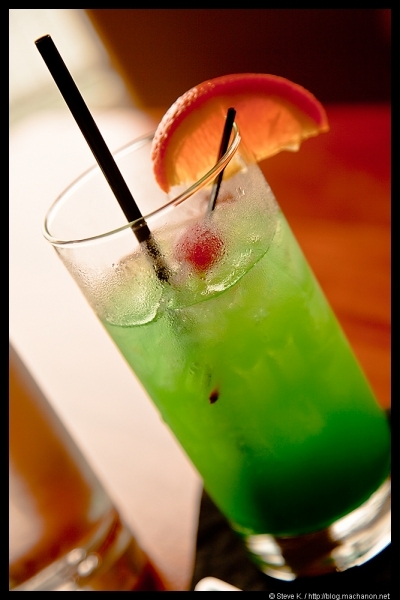 Wine lovers, the Galley offers a splendid list of wine for your palate to experience. The setting of the restaurant is prime. 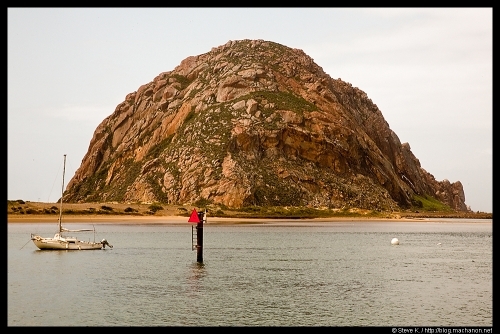 The establishment sits at the edge of a dock that overlooks the majestic Morro Rock. Menu items differ slightly between lunch and dinner, but mainly the price (dinner being slightly more expensive). For first timers, I recommend the Halibut Ceviche for starter. It is not listed on the menu but it is in itself the best tasting ceviche I’ve ever had. 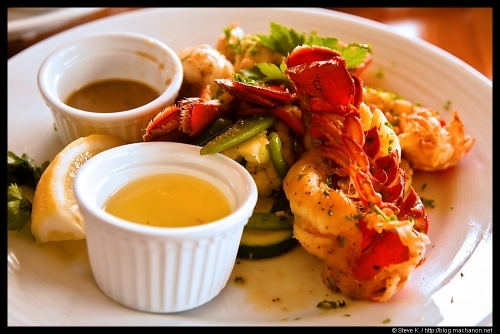 Lobster lovers will definitely want to try the Maine Lobster Tails entree. The entree consists of two butterflied succulent and juicy Maine lobster tails served with drawn butter and a specialty sauce. I personally enjoyed the lobster tails thoroughly with the specialty sauce and left the drawn butter practically unscathed. 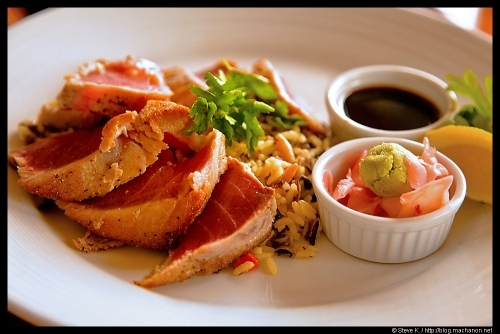 Fish lovers, the Ahi Tuna entree is seared to perfection. Rare on the center and nicely seared on the outside. The distinct fishy taste that is associated with seared Ahi tuna dishes in other restaurants I’ve dined at was almost completely suppressed at the Galley, meaning the tuna they’ve used is of utmost freshness. If you are not a seafood lover, the Galley also offers angus burgers, flat iron steak, filet mignon and rack of lambs to fulfill your carnivorous cravings. The service compliments the meal and dining experience in perfect harmony. I’ve never been to a restaurant where the waiters and waitresses are thoroughly employed with knowledge of each individual dishes. First timer and not sure what to order? Just ask for recommendation. Not sure what a particular menu item refers to? Again, simply ask. The 5-star staff at the Galley Seafood Grill & Bar is very accommodating whether you are a regular, a local or a traveler. Although the Galley accepts walk-ins, it is highly recommended that you call in to make a reservation for dinner. This is especially true if you want to experience seafood dining bliss on a Friday night or during the weekend.